Summary: Mahmoud's passion for his wife Fereiba, a schoolteacher, is greater than any love she's ever known. But their happy, middle-class world—a life of education, work, and comfort—implodes when their country is engulfed in war, and the Taliban rises to power. Mahmoud, a civil engineer, becomes a target of the new fundamentalist regime and is murdered. Forced to flee Kabul with her three children, Fereiba has one hope to survive: she must find a way to cross Europe and reach her sister's family in England. With forged papers and help from kind strangers they meet along the way, Fereiba make a dangerous crossing into Iran under cover of darkness. Exhausted and brokenhearted but undefeated, Fereiba manages to smuggle them as far as Greece. But in a busy market square, their fate takes a frightening turn when her teenage son, Saleem, becomes separated from the rest of the family. 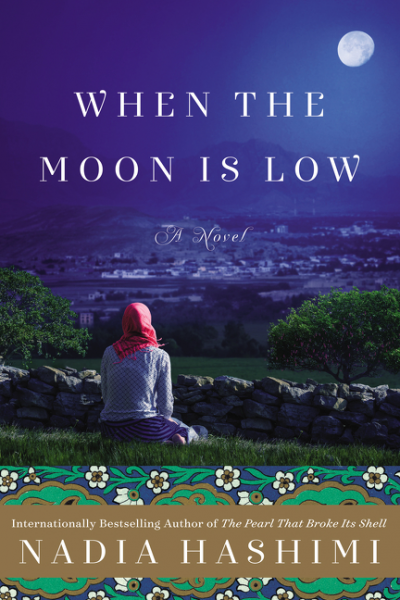 Last night, our book club met to discuss WHEN THE MOON IS LOW by Nadia Hashimi. Most of us enjoyed the book, some more than others, but I will say that this novel definitely generated discussion. In fact, I think we discussed WHEN THE MOON IS LOW more than any book in recent memory. It didn't hurt that the situation of refugees is relevant in today's world. While we did talk for some time about the characters and their situations, the discussion eventually turned to current events. A few of our members were a little let down by the ending -- one even threw her book. I guess you'd say that it was left open to interpretation, and some wanted a more definitive ending. I didn't mind how it ended, but I'll give more of my thoughts about the novel when I get around to writing my review in a few days. 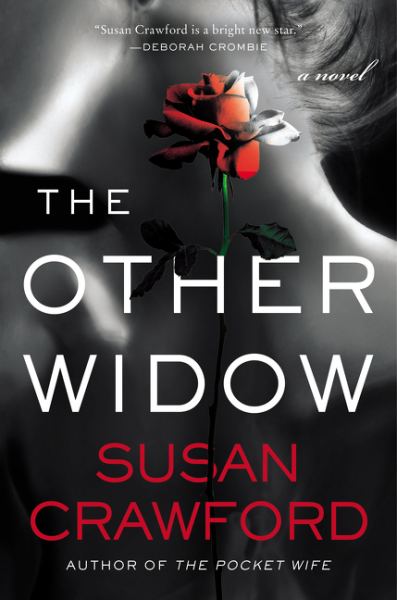 Next month, we will be reading THE OTHER WIDOW by Susan Crawford. As a Book Club Girl Book Club, we had some fantastic choices but most of us agreed that THE OTHER WIDOW sounded intriguing. I love psychological suspense novels, and this book should be "book club" worthy given that it explores explores marriage and infidelity. I can't wait to read it! Summary: The author of The Pocket Wife explores the dark side of love, marriage, and infidelity in this sizzling novel of psychological suspense. Everybody’s luck runs out. This time it could be theirs . . . It isn’t safe. That’s what Joe tells her when he ends their affair—moments before their car skids off an icy road in a blinding snowstorm and hits a tree. Desperate to keep her life intact—her job, her husband, and her precious daughter, Lily—Dorrie will do everything she can to protect herself, even if it means walking away from the wreckage. Dorrie has always been a good actress, pretending to be someone else: the dutiful daughter, the satisfied wife, the woman who can handle anything. Now she’s going to put on the most challenging performance of her life. But details about the accident leave her feeling uneasy and afraid. Why didn’t Joe’s airbag work? Why was his car door open before the EMTs arrived? And now suddenly someone is calling her from her dead lover’s burner phone. . . . Joe’s death has left his wife in free fall as well. Karen knew Joe was cheating—she found some suspicious e-mails. Trying to cope with grief is devastating enough without the constant fear that has overtaken her—this feeling she can’t shake that someone is watching her. And with Joe gone and the kids grown, she’s vulnerable . . . and on her own. When the Moon is Low sounds terrific! I wonder if I could get my book club to read it. I loved When The Moon Is Low! I'd like to get my book club to read it. I think it has excellent discussion value! My Version of BEA -- Harper Collins Style! Giveaway: Fodors on the Go! Review: Can Anybody Help Me?